Effective tool to loosen rusted part. 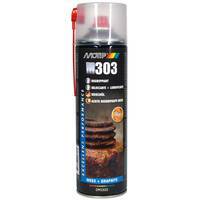 Penetrating oil has good penetrating properties and contains graphite and MoS2. 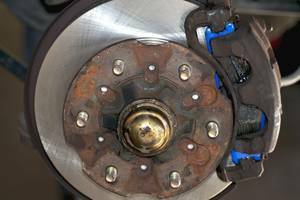 Penetrating oil is moisture repellent and rust preventive. 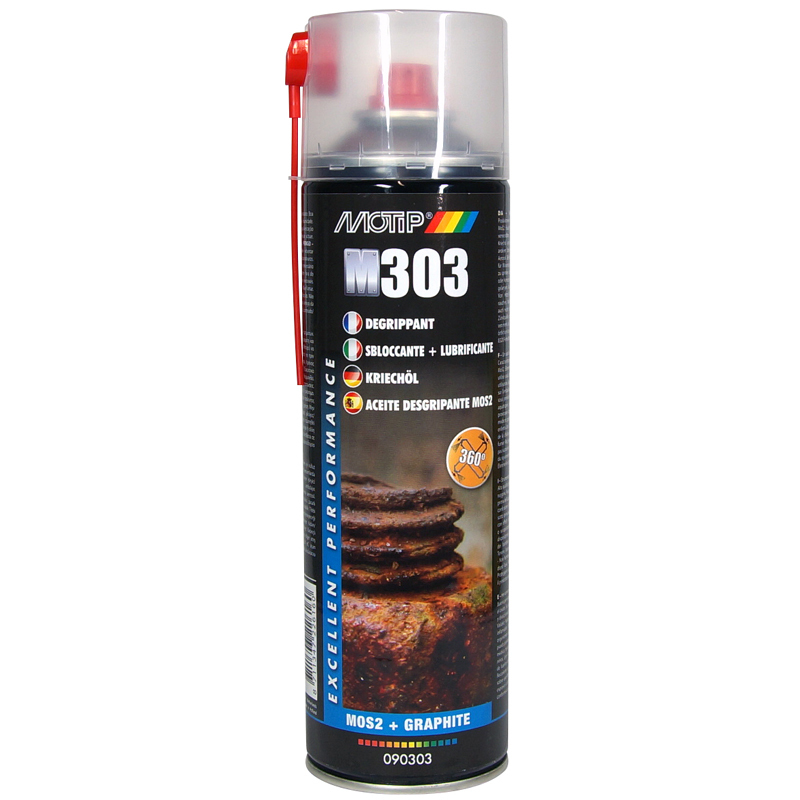 MoTip Penetrating Oil has a powerful jetspray and can be used in various positions. Hinges, fittings, bolted connections, locks, bolts, nuts, tools, chain etc. 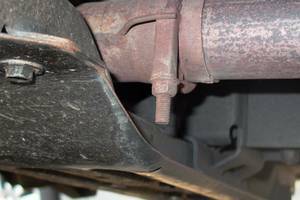 Remove loose rust with a wire brush. Spray parts and leave to take effect. Starts working in most cases within 5 to 15 minutes, depending on the ability of the product to penetrate. Dirt and rust can already be removed from stuck parts after 5 minutes.